Chatham-Kent officials say the water levels on the Thames continue to drop slowly. The dikes have remained “relatively stable” with one repair ongoing. 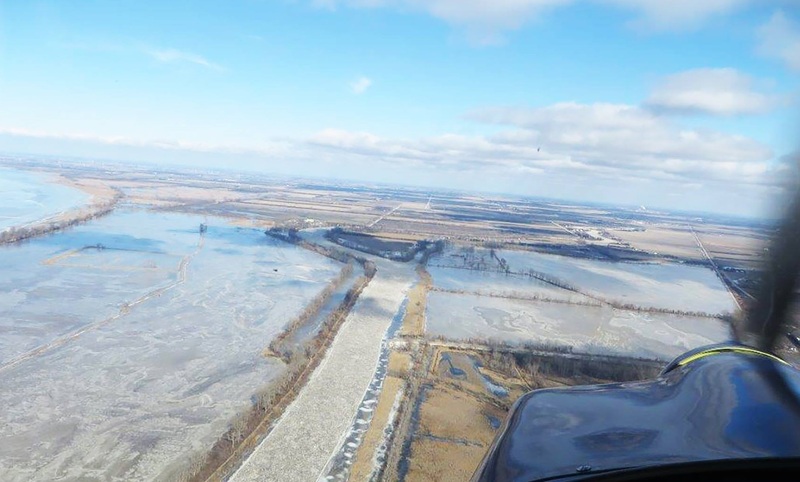 The ice jam remains stationary and now extends from the mouth of the river to the Prairie Siding Bridge. The monthly Blood Donor Clinic at the Spirit & Life Centre (184 Wellington) is Wednesday from 1-7. Book your appointment now at Blood.ca, 1-888-2-DONATE, use the apps or just walk in. After flipping his SUV last month, Britain’s Prince Philip has voluntarily surrendered his driver’s license. Queen Elizabeth’s 97-year-old husband was fortunate to survive after flipping his SUV in a 2-car crash in January. He actually wrote an apology note for his role in the accident a little more than a week later, blaming it on the blinding sun that obstructed his view of the road and oncoming traffic. The Duke may still be charged with driving without due care. He may still drive on private land owned by the royal estates. Coca-Cola is coming out with a new orange vanilla flavour, that’s the first new Coke flavour in more than a decade. The other flavours considered were between raspberry, lemon, and ginger, but ultimately Orange Vanilla came out on top. Here in Canada, we already got a taste of the lastest concoction during a Summer promotion. Look for Coca-Cola Orange Vanilla to hit shelves in the coming months. It’s very different than regular ice cream. Regular ice cream is bad for your sleep, mainly because of the sugar or sucralose, and caffeine. Nightfood’s ice cream has extra protein and lots of other amino acids and enzymes that are supposed to help you fall asleep. It’s also low-calorie with around 320 calories in a pint. If you’re interested, you can buy pints now on their website in eight different flavours.